Energyworx (https://www.energyworx.com), a SaaS company in energy data management, data intelligence and advanced analytics, today announced to join forces with Smart Society Services (https://smartsocietyservices.com), a company delivering scalable SaaS services to monitor, control and manage smart devices that help improve reliability and efficiency in large and critical infrastructures. Energyworx and Smart Society Services will be jointly positioning their complementary SaaS solutions in the smart meter market in The Netherlands, Belgium, Germany and other countries. Target groups are utilities, metering companies, service partners and other companies which operate large meter infrastructures and are coping with legacy HES and MDM systems and aiming for digital transformation in their IT/OT systems. The energy transition to renewable energy is disrupting the existing business models of energy and utility companies. Data is growing exponentially due to the rollout of smart meters, new grid sensors, IoT and the increasing frequency of data. As a result, utility companies need to transform from a commodity-driven model to a data-driven model. Ingesting, analyzing and getting value out of these massive amounts of data is quickly becoming a significant problem for all players in the energy industry. The Energyworx SaaS-based platform for energy data management and energy intelligence solutions addresses and solves these challenges. With their strong background in the energy utility market, Smart Society Services knows and understands the challenges in managing large numbers of different types of smart meters and collecting meter data efficiently. Platform31 is a knowledge and networking organization for city and urban development. As a partner in European Commission projects (FP7 and Horizon2020), Platform31 is working on topics such as Smart Cities and the Civic Economy. As a part of their Online Platform Smart Cities, a Smart Lighting update was published today. For this update, we have been interviewed about our Public Lighting Service as a smart lighting project being deployed in approx. 1/3 of the Netherlands. FlexOVL is based on an open, generic and scalable IoT platform that enables an urban and independent smart city infrastructure. Read the full interview (Dutch). On 14 october, our new office in Utrecht was officially opened by the mayor of Utrecht Jan van Zanen. As per 5 october Smart Society Services, together with two other start-ups, is located in a new office in the HNK Utrecht Central Station building. With a growing team, we needed a larger and better accessible office. 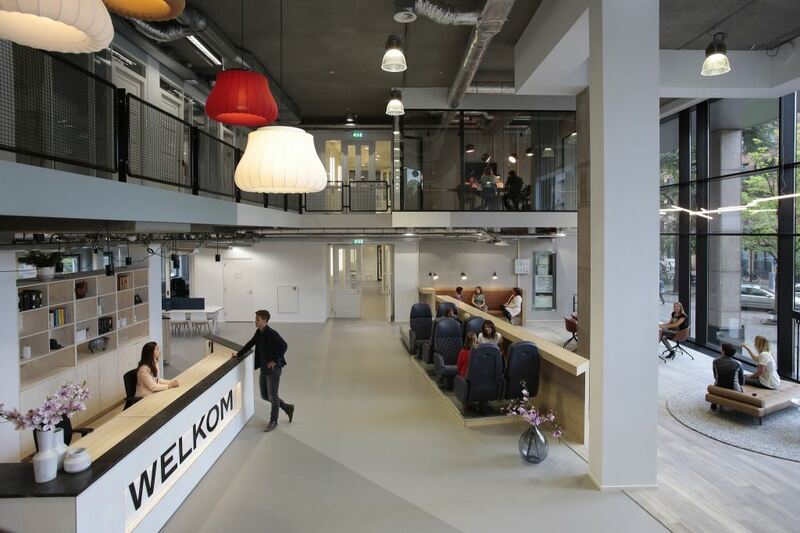 On a prominent location near the Utrecht railway station, our HNK office building is the ultimate (net)work and meeting location for flex workers, start-ups, companies and multinationals. Typically within the HNK concept is a vibrant “social heart”; a central space on the ground floor which is designed as a meeting space with flexible workplaces, seating areas, and a café.